We are now taking admissions for the 2019-2020 school year. Please call our office for a site visit and to shedule an interview. 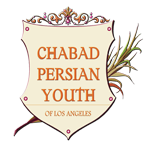 Be in touch with Mrs. Simcha Siev (310)777-0358 ext #2.